The court also observed that the opinion of a committee formed by the District Magistrate regarding prohibiting exports of livestock from Tuna port lacked authority of law. IN A MAJOR relief to livestock exporters, the Gujarat High Court has stayed the August 6 order of Kutch District Magistrate Remya Mohan prohibiting the movement of livestock at Tuna port after complaints of alleged violations of legal provisions and animal rights. 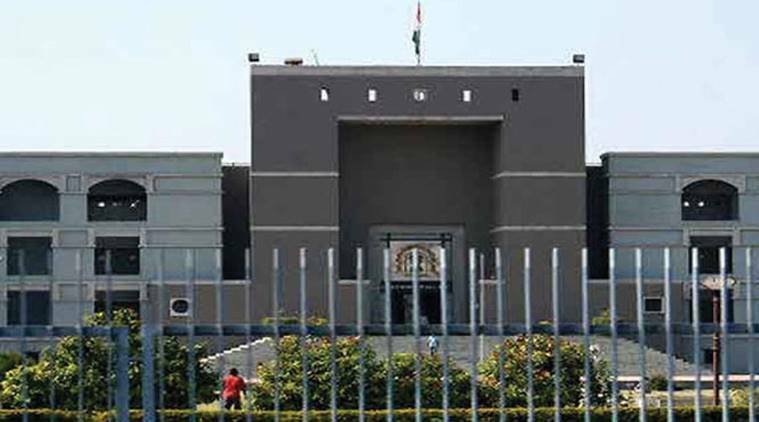 A single judge bench of Justice Bela Trivedi issued an oral order on Tuesday staying the DM’s order till the pendency of a petition filed by Livestock Exporters Association (LEA), an unregistered body of livestock exporters of Gujarat. “It appears that the committee constituted by the District Magistrate has submitted a report on 07.08.2018, whereby it has been opined inter alia that the violation of Prevention of Cruelty to Animals Act might have occurred. It has been further stated that “no animals shall be allowed to be exported unless the necessary documents are provided and required arrangement for welfare of these animals are done by the exporters”. The later part of the direction given by the committee appears to be prima facie without any authority of law. Hence the implementation of the impugned communication dated 6.08.2018 is stayed till the pendency of the present petition,” Justice Trivedi stated. The livestock exporters had brought 7,850 goats and sheep to Tuna port in Kutch in the first week of August this year for being exported to Dubai. However, the DM passed an order on August 6, ordering suspension of movement of livestock at Tuna port until further communication. The DM also formed a three-member committee, headed by sub-divisional magistrate of Anjar, to look into the alleged violation of the provisions of Prevention of Cruelty to Animals Act. Speaking to The Indian Express Mohan had said that she had prohibited the movement of livestock at Tuna port after the state government received complaints from animal rights activists. The following day, the committee submitted its report concluding that the exporters did not have documents like health certificates issued by veterinarian of the jurisdiction from where they had sourced goats and sheep, nor did they have permission from regional transport office for transporting livestock consignments to Tuna. Based on the report, the DM imposed an embargo on the consignment till the time the exporters “produced required document”. However, the Livestock Exporters Association (LEA) moved the High Court on August 9, seeking a stay on the DM’s order. The LEA claimed that they had followed due process to export the livestock consignment, and argued that the DM lacked jurisdiction in the matter as exports was a subject matter of the Central government. In an affidavit to the High Court, the DM defended the order, saying the exporters did not have documents as required by law and rules. The judge has also ordered that the exporters must comply with relevant laws while exporting livestock. “… it is directed that the petitioner shall comply with all requisite rules and regulations for export of live stock in future, after obtaining the necessary certificates and necessary permissions from the concerned authorities,” observed the court. The court’s order paves the way for resumption of exports of livestock from Tuna. Asked if the exporters will start exporting livestock from Tuna port, the LEA secretary said that have not yet decided on it. “Due to the ongoing Muhharam (the month of mourning in Islamic calendar), we have not decided as to when we shall resume our business. However, at present, we do not have any orders from importers. After the end of Muharram, we shall think about resuming the business,” he said. The exports have seen a huge jump from Tuna over the previous two years and has remained over seven lakh livestock heads each for the year 2016-17 and 2017-18.